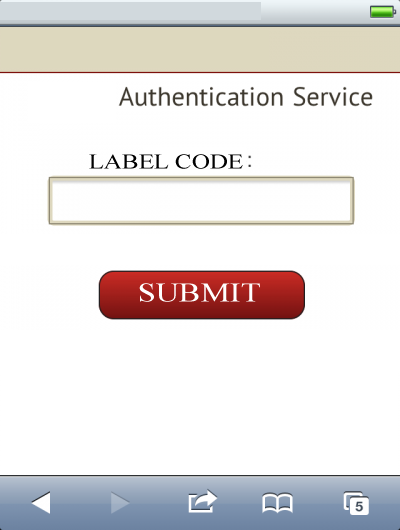 Secured Authentication Services has been Introduced to protect THE BRAND for the consumers. supplied Secured Fusion Labels. (Long wave UV light not harmful to the eyes. Powered by : 4 x1.5V "AA" batteries). Infrared Microtaggant® Identification Particles in the supplied Secured Fusion Labels..
SMS Authentication Works on two way basis, when a customer needs to authenticate the LABEL with or without web access. It can be initiated by SENDING AN SMS from ANY mobile with a number mentioned on the label as a Keyword. 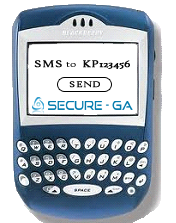 For Eg: SMS - KP 123456 and send to one of the numbers mentioned by the supplier, the customer receives a response for that specific label. In case of "VALID" Label, the SMS will contain the supplier details and in case of INVALID Lable, the output will be "NOT VALID".